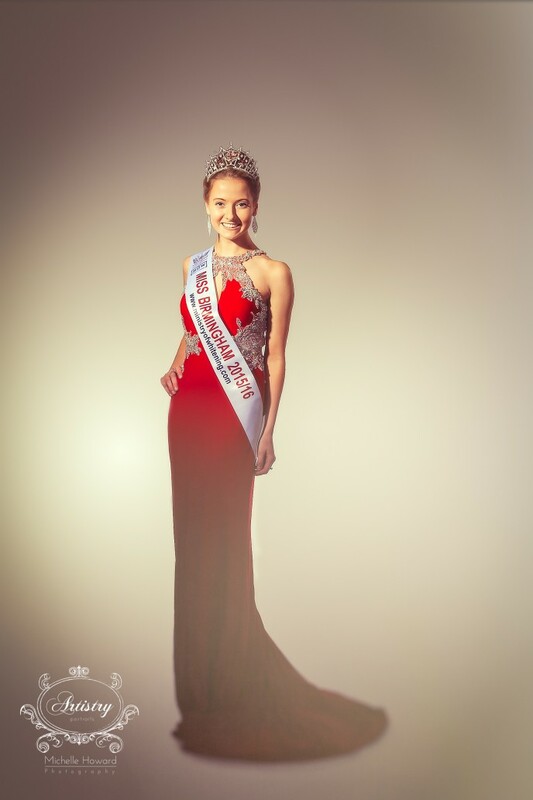 Rosie Thompson, Miss Birmingham 2015 models dresses from the wonderful Glam Collection that will grace the catwalks of the Spring/Summer for many Pageant girls. Kiss Me Kate are the official dress sponsor of Miss Birmingham and we were fortunate enough to have a photoshoot in May to show off some of our collection. Rosie – Miss Birmingham, will be given a Kiss me Kate dress to wear in the Final stage of Miss England, as well as others during many appearances throughout her reign. In the shoot, modelling with Rosie is none other than the inspirational Rachael Butler, previously Warner, who held the title Miss United Kingdom in 1996 and wowed the Miss World Judges. Alongside her is her beautiful, oldest daughter Olivia Butler. The photography was masterminded by Michelle Howard who is bringing inspirational glamour back to the West Midlands – her aim is to “see the beauty of who you are, in that one moment” which is a true gift which she brings to the shoot and captures on an image that lasts a lifetime!